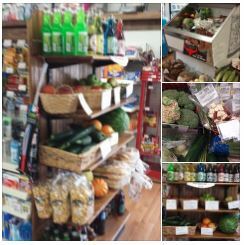 General Store – A Little bit of everything. We carry a little of everything. And, we take requests, seriously. Stop in, chances are, we have it. While your here, enjoy some ice cream or sip some coffee. DNR Electronic License System Agent. Bait: crappie minnows, Shiners, light northern and wax worms. Grocery items including some fresh produce. Ice cream by the cone and coffee by the cup. We also carry Thielen Meats products!